London’s buy-to-let hotspots: where can landlords find tenants quickly? As a landlord, having your property stand empty can cost you thousands – so which areas of London are the best for finding tenants fast? New data from property firm Residently reveals which postcodes have the lowest number of days on market for rental properties. Which? explains the trends, and shares tips for making your rental property as attractive as possible to tenants. Planning to purchase a buy-to-let? To find the best mortgage for your circumstances, call Which? Mortgage Advisers on 0800 2942 849. Where can you find tenants quickly? The London market can be fairly lucrative for landlords. But with the high cost of buying in the capital, ‘void periods’ – when your property has no paying tenants – can cost a significant amount. South-east London is the area with the lowest days on market for rental properties, with an average of 29 days between listing and letting. The postcode where landlords are finding tenants most quickly is EC4Y in Westminster, with just 20 days on market. This is followed closely by SE11, covering Lambeth and Vauxhall, which had an average of 20.3 days on market. By contrast, parts of central London were also the slowest to let, probably in part due to the high sums involved. SW1A, home to Buckingham Palace, has homes sitting on the market for 143.8 days, according to Residently. The heat map below shows the areas with the highest and lowest number of days on market. For every week your property is empty, you’re forgoing rental income, meaning you’ll need to finance the mortgage payments from your own pocket. To avoid this, you need to make your property as attractive as possible to tenants, and stand out from other offerings on the market. Here are our top tips for maximising your property’s appeal. Rental income is one of the main attractions of being a landlord – but you need to make sure you’re not priced so high that you’re putting tenants off. At the same time, many mortgage lenders will want to see that you’re charging at least 125% of your mortgage payments. What do you need to charge to cover your mortgage obligations? What are similar properties in the same area letting for? What evaluations have local lettings agents provided? How much competition is there for tenants? It’s worth reviewing your rent each time a lease comes up for renewable to ensure you’re still priced competitively. Keep in mind that a prolonged void period is likely to cost you much more than £10 or £20 weekly discount, so be prepared to revise downwards if you have to. Aside from the rent other local landlords are charging, it’s worth considering what these properties offer that yours doesn’t. If, for example, most other two-bed flats in your street offer parking, but yours doesn’t, you may need to drop your price. Look at listings for other similarly-priced properties and consider them from a tenant’s perspective. What would appeal to you, and what would send you running for the hills? It’s important to understand what type of tenants are likely to be most interested in your property, and what their needs are. A bath may be a must-have for young families, for example, but seen as unnecessary for couples without children. House-sharers may value large kitchens or locks on the bedroom doors, while high-earners may have an eye for luxurious fittings. 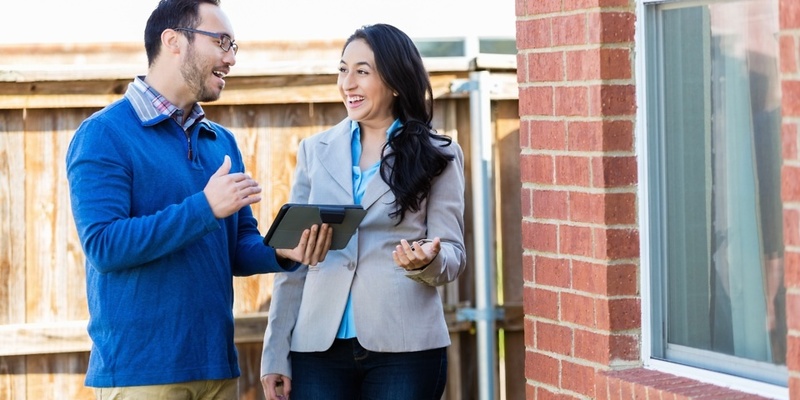 Understanding your market can help you identify the changes that will add actually add value to your let – and prevent you investing in upgrades that your tenants don’t care about. A minor facelift can make a major difference to your property’s rental value. Fresh paintwork and a thorough cleaning can make your property feel fresh and new, even if it’s decades old. If it’s furnished, replace old and worn furniture. A cheap but new piece is usually more appealing than a formerly-expensive piece that’s falling apart. For houses, don’t forget to think about street appeal, including sagging gutters, overgrown gardens or rusty ironwork. Many pet owners struggle to find landlords willing to accept their beloved animals, so pet-friendly rentals are often in high demand, especially in the city. If you’re worried about the damage pets may do, you can require tenants to pay for a professional cleaner, or ask for an additional deposit. Your particular group of tenants may have other perks they’re interested in, so think about other ways you can make your property stand out. The best way to prevent void periods is to keep tenants in a property for as long as possible. Consider offering tenants a longer lease, or even a small discount in exchange for a long-term commitment. Building a good relationship with your tenants can also encourage them to stay put, which may mean keeping up-to-date with maintenance and doing repairs quickly. Do your research when raising the rent. While reasonable market-level raises are to be expected, an excessive increase may force out a good tenant and lead to a period with no income at all. A good lettings agent will be able to tap into a large network of potential tenants, and market your property in the most attractive possible light. They’ll also do their due diligence, including screening tenant’s history, checking their creditworthiness and carrying out Right to Rent checks. In some cases, lettings agents charge tenants upwards of £500 for referencing checks and administration fees. Unreasonable fees may cause tenants to turn down an offer and look elsewhere, so in a slow market, it’s worth think about how much your lettings agent charges. In many ways, the success of buy-to-let is determined right at the beginning of the process, when you decide where to buy. If you purchase an in-demand property type in a highly sought-after area, you may not need to worry about void periods. So, right from the start, it’s worth doing extensive research on the local market you’re considering buying in, and how robust demand is likely to be. Thinking about buying a buy-to-let? If you’re planning on investing in property, it’s worth speaking to a mortgage broker to find the best buy-to-let mortgage for your circumstances. Which? Mortgage Advisers can offer expert, impartial advice – call 0800 2942 849 request a free call-back below.